Phoebe Coulson .Her sister is Alice Millen. she married Herbert Samuel Shove. According to information on the internet the Queens farm . 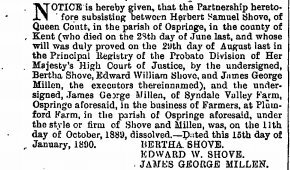 Herbert William Shove, who I believe was probably born at Queen Court, Ospringe, in July 1886. His father, Herbert Samuel Shove, certainly owned or rented the property at the time of his marriage the previous year. 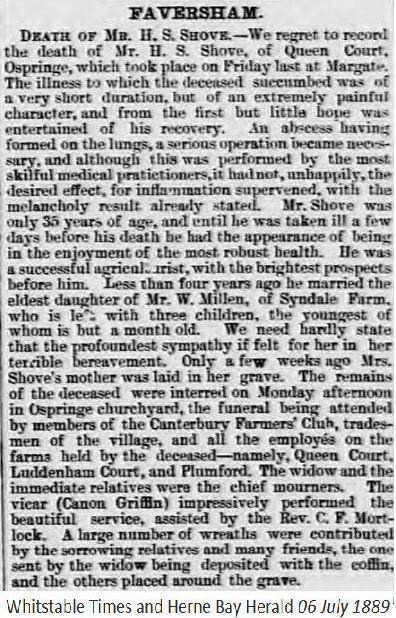 His mother was Bertha, née Millen, whose family lived at Syndale in Ospringe, according to the marriage lines.